So you like to spend as much of your free time in the outdoors, but you hate hauling the big knife on your side, which, by the way, makes all outdoor activities easier? Wouldn’t you like to have a smaller knife that can cut and get the job done just as good as the big one? Well, with the best pocket knife at your disposal, you will get everything done just by reaching into your pocket. A pocket knife is a sharp small tool that you can use to prepare your food or for self-defense. But even though this knife seems to be a simple solution, picking the best model is not a simple task. Therefore, we will help you with your research and make sure that you make the perfect choice. 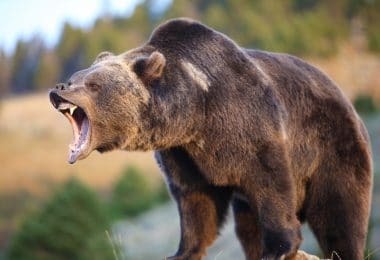 In this article, we will show you which features are the most important ones when you are looking for such a knife, so that you know what to keep an eye on. 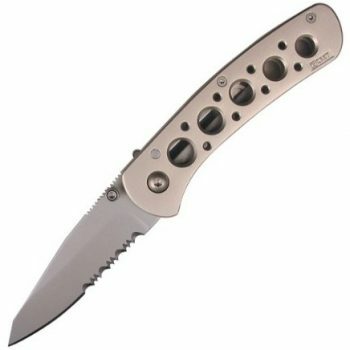 Also, once you know how to look for a pocket knife that suits your personal needs, you will have a chance to read the reviews of some of the best models on the market. And, get an insight into which products we recommend to buy along with your chosen knife model. Keep reading to find everything out. You should go for a tactical cutting tool that you will be proud to own and use. Therefore, the model you settle for must be of the highest quality and performance. In this section, you will find the most important features to look out for before making a purchase. Whether it is for self-defense, or multipurpose use, you should always go for blades that have undergone great craftsmanship. These blades will last for long and will be able to handle a lot of abuse. You need to consider why and how often you intend to use this pocket knife. If you are planning to use your knife for heavy duty tasks, you will have to go for something that features a thick and sturdy blade. Otherwise, it will break easily. 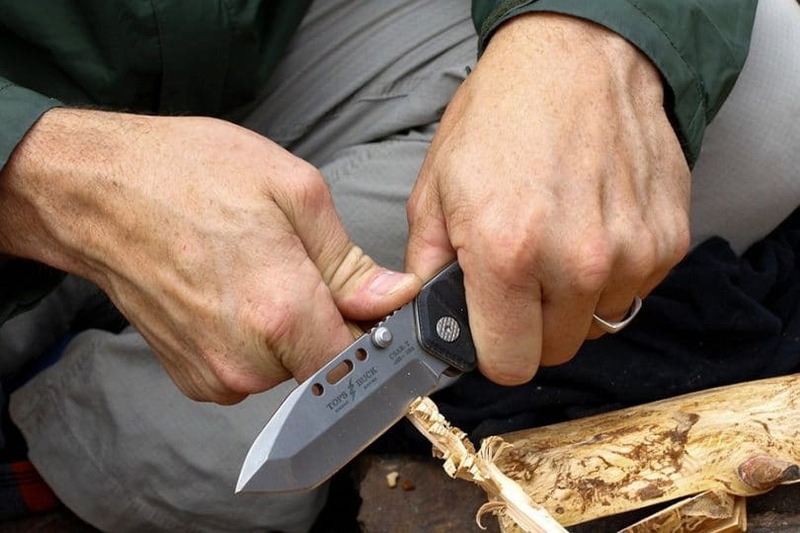 One of the major benefits of a pocket knife is lightweightness and portability. Therefore, the very first thing that you must consider before anything else is the blade length. The longer the length of the cutting edge, the heavier the folder will be. An ideal length should be equal to or less than 4 inches. The cutting edge design should be convenient. Go for a design that incorporates a good drop point and grind. The material of the blade is another important factor to consider. Some pocket knives will feature a stainless steel blade while others will have one made of high carbon steel. Make sure the blade material is of high quality that features good corrosion and wear resistance and retains a fine edge after use. A plain edge is suitable for cutting through different materials. It is best, if you don’t want to saw through the object, but rather cut through to make slices or cuts. Pocket knives that feature a plain edge will be suitable for softer materials and less aggressive tasks. A serrated edge will be suitable to cut through tougher materials like ropes. You will have to apply pressure and saw through the material for best results. Some edges will be a mix of both. These are very convenient because they are more versatile. The handle should be made of high-quality material, such as G-10, Micarta, or stainless steel. The handle should also be conveniently long so as to provide the whole unit with the desired balance. You should also make sure that your knife features an ergonomic handle. This will be comfortable to carry and will enable you to control your knife properly. If you tend to wear gloves or have bigger hands, you must make sure that you are buying a knife that features a rather bulky handle. If your hands are small you can definitely get away with a smaller handle. Some knives feature a manual opening system. These will solely depend on the user, where some of them will be two hand knives while others are single hand knives. However, you will have to consider the purpose of why you are buying a pocket knife before picking one of those. Some pocket knives come with a button. These are very easy and fast to open. If you are looking for a knife that you can use in a second, then an automatic pocket knife that works with a button will be the one to pick. There are various locking mechanisms that you can consider. The most common one is the frame lock. When the blade opens, the frame lock moves into the handle opening and locks against the frame. The other one is the liner lock. It comprises of a liner that is bent so that when the blade opens, the curved liner presses against the rear of the tang, preventing it from swinging back. The last, common mechanism, is the lock back. Opening the blade causes a rocking lock plate, visible on the back of the handle to lock against the blade as it is locked into the open position. In this section, you will find everything you need to know about the best pocket knives on the market. Now you will just have to go through the product features in order to choose the most suitable one. 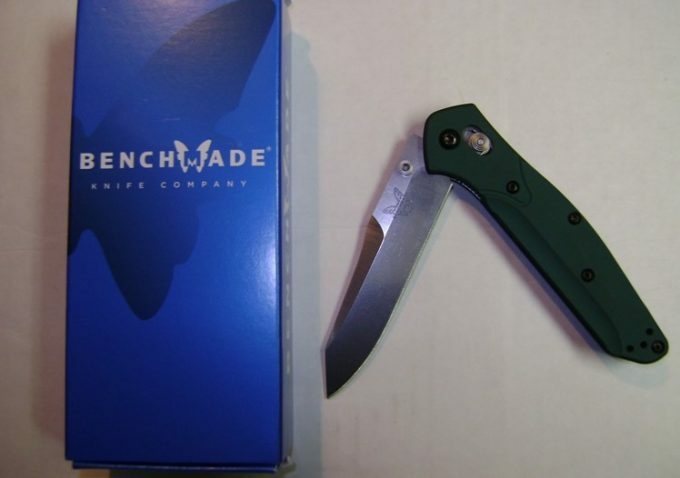 Description: The Benchmade Mini Barrage 585 Knife is a great model for daily use, and it’s made in the USA. It also has a unique design for a variety of activities, including self-defense, carving, and slicing. It has a compact and short structure and it is fitted with a universal clip that enables you to store it on either right or left side. The cutting edge is engineered from 154CM stainless steel. This is a heavy duty and versatile material, which is easy to re-sharpen and has great edge retention capabilities. The edge is also made with a mini-drop point, along with a secondary grind. It has a hardness of 58-61 HRC. The back of the cutting edge is back-sanded until smooth with a belt sander. It is fitted with a Valox resin handle that is water-resistant and offers a strong grip. The handle material is lightweight, moisture-resistant, durable, strong, and easy to use. The knife is fitted with a unique locking mechanism, which is axis-assist lock. This locking mechanism is highly resourceful; therefore, you will rarely experience any opening problems. The life of this blade does depend entirely on the use. It will remain sharp while providing top performance as long as you maintain it accordingly. Related: Keep your knife in top condition with the Smith’s PP1 Pocket Pal Multifunction Sharpener. It comes with preset sharpening angles for the best results. Description: Victorinox Swiss Army Classic SD Pocket Knife is a highly versatile pocket blade with a short and slim structure for simple cutting chores. It is made of stainless steel material that works very well for different activities. It sharpens effortlessly and holds the edge longer than you would have expected it to. It has state-of-the-art construction that features smooth operating hinges that provide you with a simple but highly resourceful cutting tool. The knife’s assembly features seven functions for your day-to-day use, including: the 1.25-inch blade for cutting & slicing, toothpick for removing food particles from your teeth, tweezers for grasping, a key ring for holding your keys, scissors for cutting paper & material, nail file for filing your nails, and a screwdriver for driving screws. If you are looking for ergonomics, then Victorinox Swiss Army Classic SD is the right pocket blade to buy. It is engineered to optimize versatility and compactness. However, you need to be true to yourself when using this knife for cutting. It is definitely not an ideal knife for tougher chores, such as cutting through thick ropes, but it is an excellent blade for simple chores. You can maintain easy drawing of the various tools by oiling the locking mechanism with Swiss Army knife oil. Related: Pair this knife with the Hikenture (TM) 4-In-1 Camping Utensil Set. This set will allow you to enjoy your time and meals to the maximum. 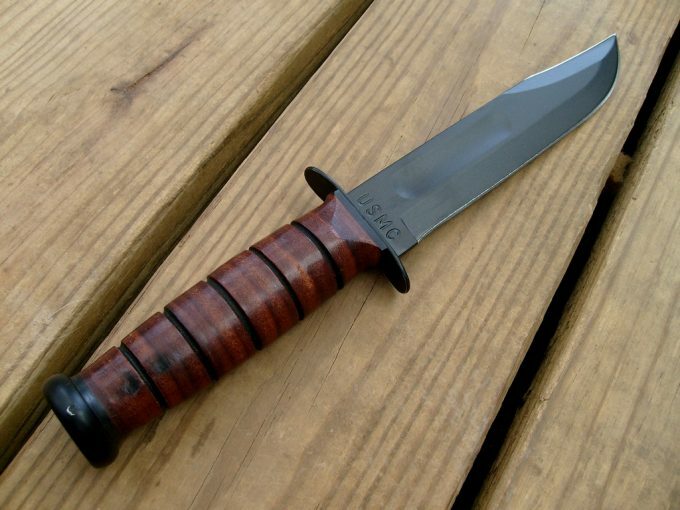 Description: Kershaw’s reputation as far as knife making is concerned dates back to 1974. They have been producing blades that users are pleased to own, carry, and use. 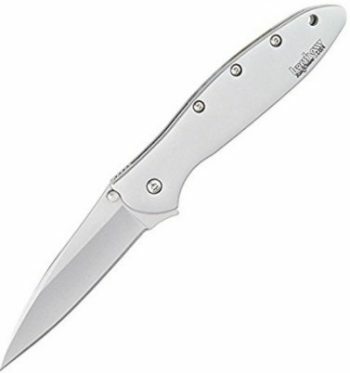 One of such great inventions, is the Kershaw Ken Onion Leek Folding Knife – a lightweight and highly resourceful tactical blade for the money. The very first feature that will impress you is the SpeedSafe assisted opening technology, which allows you to quickly as well as easily open the blade with a simple manual thrust on the thumb stud. You can also apply the same tech by pulling back on the flipper, which is a built-in feature. Its operation is based on a frame lock system. A section of the knife frame repositions behind the cutting edge so as to lock into position when using the knife. This is a reliable safety feature. You are also presented with a reversible pocket clip. There are pre-drilled holes situated in the handle that allow you to adjust the part on which the dagger carries or the tip position. In addition to the above mentioned traits, Kershaw Leek has a drop point blade, which is good for slicing, piercing, and detailed work. This is the model to buy when you are after versatility because it is an ergonomic piece for both left-handed and right-handed individuals. Related: The Nite Ize Tool Holster Stretch is very durable. It easily attaches to your belt with enough room for your tactical knife and other small necessary tools. 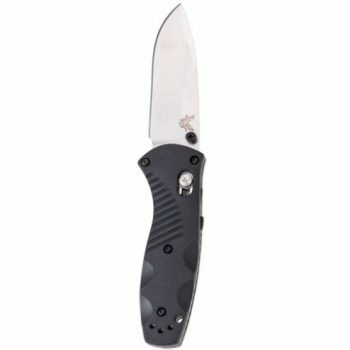 Description: Benchmade Griptilian 551-1 Knife beats all folders as far as all around functionality is concerned. You will certainly admire each and every feature and spec of this uniquely made axis knife. To begin with, it opens manually and its operation is based on premium axis mechanism. The blade is made of CPM-20CV steel material with a drop point style. The blade has a satin finish accompanied by full stainless steel liners. 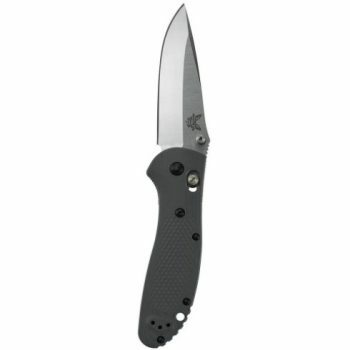 Its operation is based on Benchmade patented axis lock, which offers a solid feel. The ambidextrous thumb studs allow the blade to be used by both left-handed and right-handed people. The axis lock disengages extraordinarily smoothly. In fact, you will be opening and closing it continuously without noticing what you are doing, because of the ergonomic design. It is incorporated with a tip that offers a good compromise between an all rounded EDC blade and a needle point. It uses nested liners, therefore, it has the ideal balance for all the intended purposes. This is a resourceful piece if you are after a hard duty folding blade. Related: Your pocket knife is definitely a must have on your outdoor experience. But if you are looking for the best product that will keep you comfortable, then you must consider the OutdoorsmanLab Ultralight Sleeping Pad. It is the perfect product to pack on your hunting, camping or hiking trip. Description: Columbia River Mt. 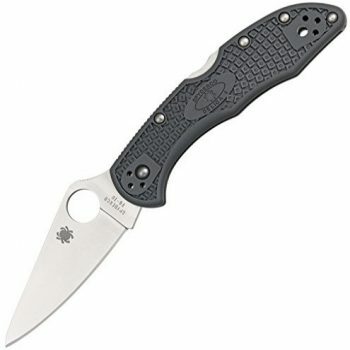 Rainier 6612N Serrated Edge Knife is one of the best folders in the market. It has a strong inter-frame liner lock construction, providing you with an easy-to-clean open structure along with zinc alloy scales. The handles are designed with an extended guard, generous size and bead-blast finish to give you extra gripping power. Basically, the knife’s weight is minimized without bargaining the extraordinary power. It is fitted with 420J2 stainless steel dual liners. The cutting edge is engineered from 420J2 high carbon steel, which features a modified drop point shape with bead blasted finish. The blade grind is well-structured to keep the maximum thickness throughout the length of the back of the blade and at the tip. The cutting edge is fitted with triple point serrations. A feature unique to this knife is the integration of the patented LAWKS safety mechanism. This safety mechanism transforms this piece into a virtual fixed-bladed dagger. Related: Staying hydrated is a necessity on an outdoors experience. The Potable Aqua Water Purification Tablets will turn questionable water ready in 30 minutes. They are essential to pack when water is scarce. 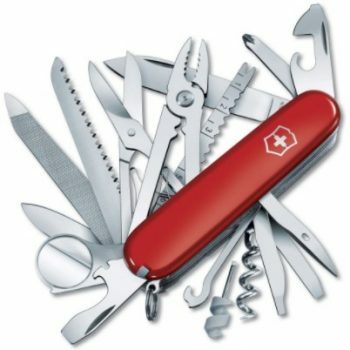 Description: If you are looking for a pocket toolbox, you should look no further than the Victorinox SwissChamp Pocket Knife. This uniquely made multipurpose tool is packed with numerous functions. It is indeed a gizmo of its own making. Apart from the large and small blades, other resourceful tools that you will certainly use are pliers, mini-screwdriver, ruler, magnifying glass, and bottle opener. You can use the pliers to fix a broken link, adjust guitar strings, and tighten loose nuts. You can use a mini-screwdriver to tighten wobbly eyeglass screws. You can use the ruler to mark and measure points. The bottle opener is useful for opening bottles. It is easy to maintain the various tools incorporated in this knife. To avoid drawing and closing problems of the various tools, you have to open as well as close the edges, in warm water. Then you can opt to lubricate the blades once they are dry. This tool features stainless sturdy construction that comes in an ABS casing for more durability. 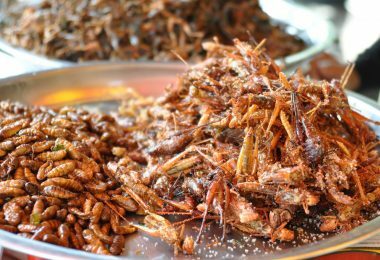 In spite of its small size of 3.5 inches and its light weight, it will provide you with everything you need in the time you spend away from home. It also features an ergonomic handle that is very easy to hold and control. 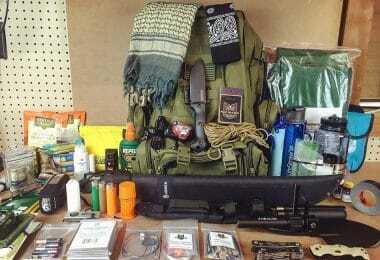 Related: Upgrade your survival experience with the EliteMax Paracord Survival Kit. It features a parachute cord, a compass, a flint fire starter in addition to a whistle and an emergency knife. This is a durable tool that will make you feel a lot safer in extreme conditions. 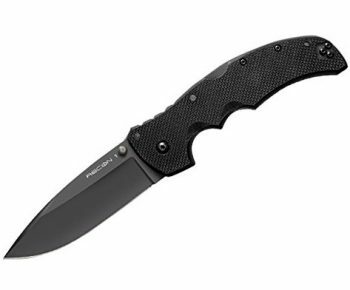 Description: The Cold Steel Recon 1 Edge Knife is a great tactical blade for the money. The cutting edge is engineered from Japanese AUS 8A stainless steel with black Teflon finish. This is what makes it very popular with military and law enforcement personnel. This knife is made of duty alloy with high corrosion and wear resistant features and has great edge retention capabilities. The edge is vacuum heat treated and sub-zero quenched for quality performance. It is fitted with an ergonomic handle made of the G-10 material. The handle material is strong, lightweight, and very hard, providing you with a rugged and non-slip grip. It comes with an extra-tough pocket clip for effective carrying, and thumb disc for effortless opening. Every piece is constructed to be as strong as humanly possible. This knife features the renowned Tri-Ad lock mechanism which makes it very convenient to use as it is almost 100% resistant to shocks. It will also keep your fingers safe while use. This is a favorite by amateurs and experts alike. Related: The LifeSky Sports Water Bottle is a must have in any survival adventure. Although it is made of stainless steel, it has no metallic taste and is designed to last for long. It features double insulation that will retain the heat of boiling or freezing water for up to 12 hours. Description: Spyderco Delica4 PlainEdge Knife is the best folder from this manufacturer. The blade is engineered from VG-10 steel, which is easy to sharpen, retains a fine edge after use, and has great corrosion resistance capabilities. The handle is made of fiber reinforced nylon, which is lightweight and durable. The handle is fitted with bi-directional texture on the surface, for slip-free tactile traction. 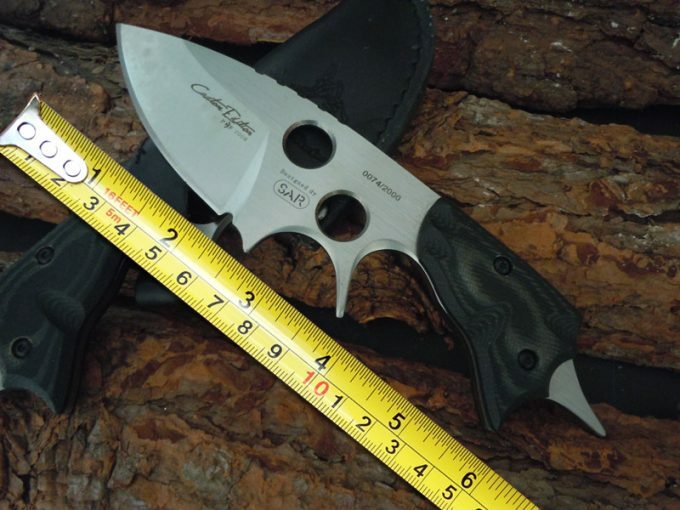 This is the best tactical blade if you are after resourcefulness and versatility. It opens manually with an ambidextrous thumb hole and has a lock back mechanism. The handle features dual skeletonized liners that will ensure that your knife will last for long. These will strengthen the knife without adding any extra weight. The blade is full flat with a thinner, cutting edge. Thanks to the extra phosphor bronze washers, you will get to enjoy a smoother opening and closing action. This will make your knife more convenient to use. Related: You can never be too prepared when you are on are on a survival adventure. The Surviveware Small First Aid Kit will ensure that you stay safe in your time away from home. It features durable tools with a long lasting case. It is lightweight, compact and contains 100 life-saving items. We have reached the end of our article. 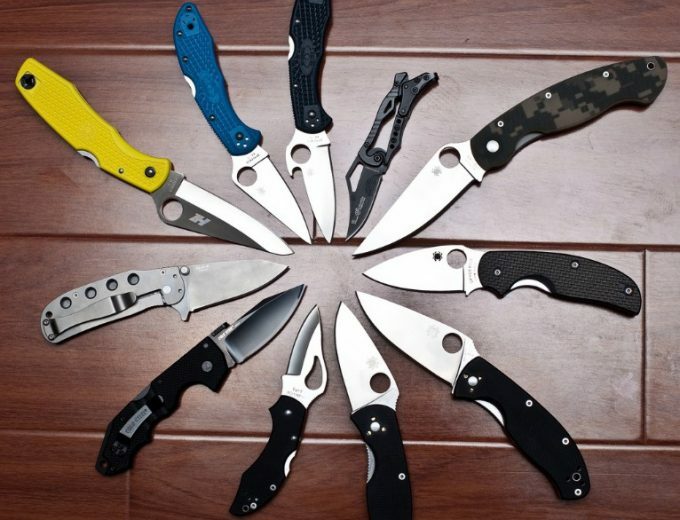 We offered you all the information you need to choose the most suitable product, by summarizing the most relevant features that you need to look for when you are shopping for a pocket knife. Furthermore, you had a chance to read the detailed reviews some of the models on the market. You also need to know that each of these knives is portable, lightweight and built to last. However, not all of them all suited for all situations, but, after getting armed with knowledge, and determining which features are the most important ones to you, picking out the model that is perfect for your needs is a breeze. For example, if you need a knife just for simple cutting or peeling operations, then the Spiderco Delica4 will get the job done. But, if you are looking for a more serious model that can be used for self-defense as well, then, the Cold Steele Recon 1 should be your pick. 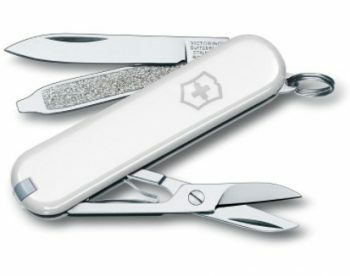 On the other hand, if you are looking for a multipurpose tool, then choose the Victorinox SwissChamp, as it comes with a bunch of additional tools beside a blade. At the end, just make sure you match your intended use, with the appropriate blade and handle profile. Since you can choose various high-quality products, this shouldn’t be a problem. Do you think we have missed any resourceful folders? Or, maybe you want to share some of your experience with some of the models we reviewed? In any case, feel free to let us know by leaving a comment in the comments section below. 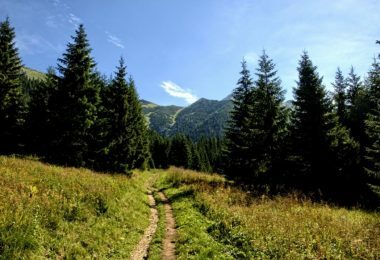 Thanks for reading, and if you think that your friends can benefit from this article, don’t hesitate to share it on social media.